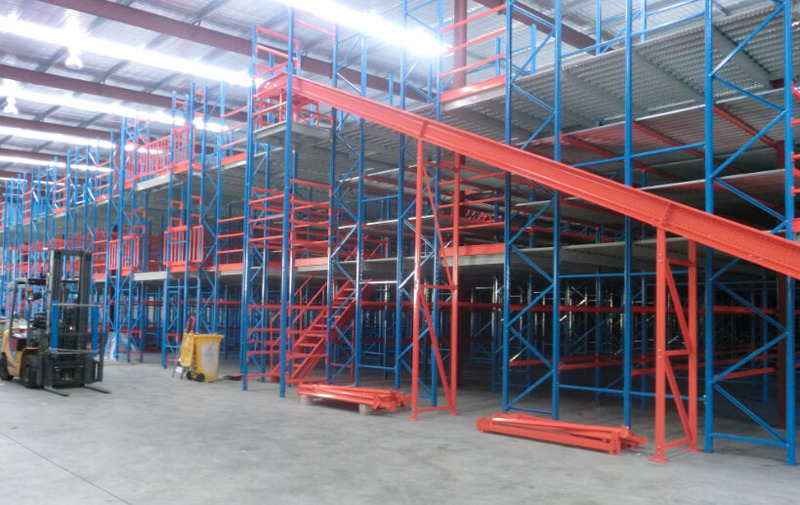 Multi-tier shelving supported by rack with walk way, consists of Frames, step beams, Panels, floor deckings, handrails, stair cases, sliding gates and some accessories. Usually with 2-3 levels , load and offload the small cargo by manual. Widely used in high warehouse ,small goods,manual picking and high density storage. Suitable for quto parts, E-commerce and other industry.